Supporters are being invited to take part in an overnight sleepout for good causes at Mariners Park. Funds will be raised for three charities at the event on Saturday, February 9. 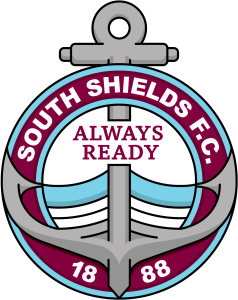 South Shields captain Jon Shaw is among to those to have already committed to taking part, as have some members of the club’s staff, and the club is asking supporters and members of the community to come forward to participate, too. Sponsorship forms can be downloaded by clicking here, with donations to be split evenly between Changing Lives, Hospitality and Hope and North East Athletic. Shaw, who took part in the club’s last sleepout two years ago, said: “I see the sleepout as an important opportunity to experience and raise awareness of homelessness and hopefully help it in anyway we can. “I did it for one night at the last sleepout and it’s so hard to do, and that’s only for one night. “There are people who go through it every night. “People are often homeless for reasons we don’t expect and there are a lot more going through this than we know. “Any help, whether it be joining us on the sleepout or a small financial contribution, will help. Changing Lives is a national charity based in the North East that has been supporting vulnerable people for over 45 years. Hospitality and Hope is a South Shields-based organisation, which helps those in need, including the homeless. It operates a soup kitchen and food bank in the borough. North East Athletic has been established for nine years and uses football to engage with those with drug and alcohol issues or in housing need, and operates mainly through the support of members who have established stable lives, families and other football clubs and players. All money raised for the club goes directly into pitch hire and transport for players. Donations for the sleepout event can be made in person at Mariners Park or through a participant.